Native Earth Performing Arts is Canada's oldest professional Indigenous performance company, developing and presenting multi-disciplinary stories of First Nations, Metis, and Inuit of Turtle Island (North America), with collaborators from Indigenous communities from Latin America, Australia, New Zealand and Greenland. They are known for their imaginative productions, for dedication to the expression of Indigenous experience told in visually arresting and unique ways. They nurture and collaborate with established and emerging creators. 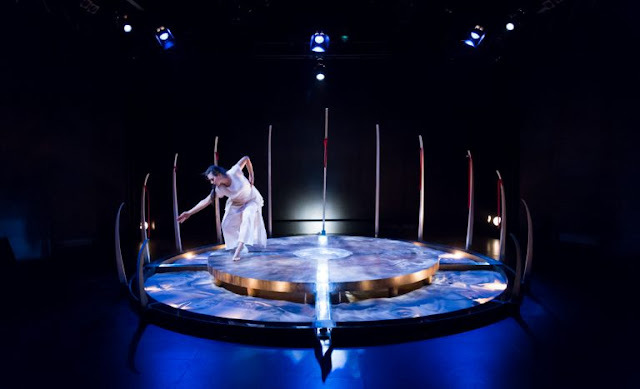 The upcoming production of Finding Wolastoq Voice, as part of the Niimi'iwe Indigenous Dance Showcase is a joint venture between Native Earth and Theatre New Brunswick and between New Brunswick-based playwright/composer Natalie Sappier and Toronto-based choreographer/dancer Aria Evans. 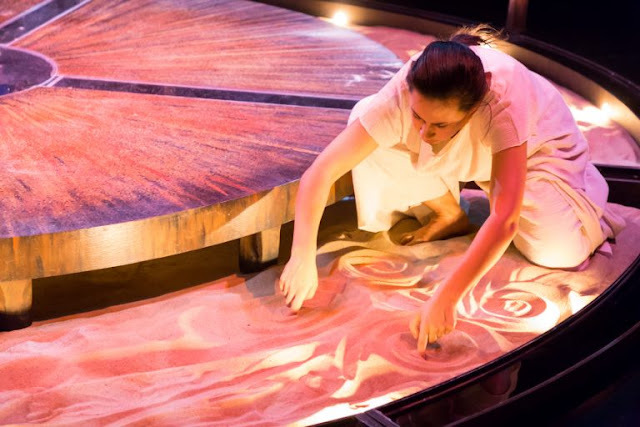 Natalie and Aria graciously answered some questions for me while their work premiered at Theatre New Brunswick, a setting both artists cite as being incredibly supportive and eye-opening. Artistic collaborators such as set and lighting designer Andy Moro, were in the room from the first workshop, helping shape the overall vision. Everyone seemed to feel its potential flourish from the start. "They really know the importance of having an Indigenous voice on the stage. It has taken us some time to get [this relationship] grounded because it was something we all did not want to rush. And this relationship will continue, with future residencies for Indigenous Artists to focus on new playwrights and performances. Possesom Paul of St Mary's First Nation will be entering a residency with me this summer for developing new works." 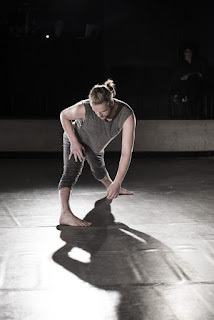 It was Theatre New Brunswick's artistic director, Thom Morgan Jones, who connected Natalie with dancer/choreographer Aria Evans. 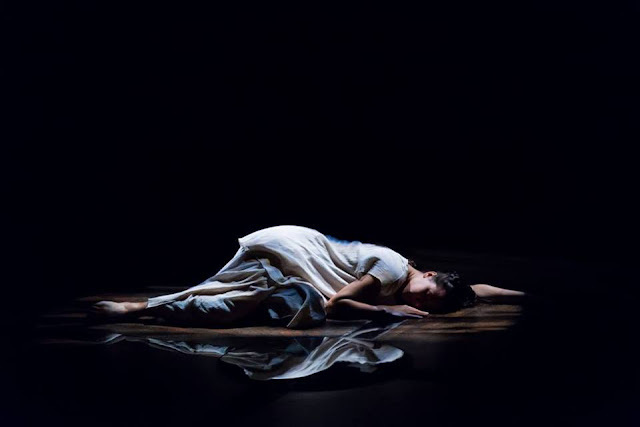 As Natalie developed the play and its images, she began to see the character dancing through the stories and music. When Thom introduced them, both artists became immediately intrigued with one another. "Even though she came on only to workshop the piece, I knew from the first day she danced in the studio hall she was going to be the dancer for Finding Wolastoq Voice." says Natalie. Aria concurs, "When I looked at her work, read her play and talked with her I knew that there was something special about her: an incredible mix of generous, humble, dedicated but also fiery and passionate." Finding Wolastoq Voice is the first touring show originating from Theatre New Brunswick and Native Earth's Indigenous Dance Showcase is the reason for it. For Natalie Native Earth is family. "For a long time I felt alone, because there are not too many Indigenous Artists focusing on Theatre/Performance work in the Atlantic. When I was invited to the Weesageechak 30 [Native Earth's Development Festival of Indigenous Work], I was so amazed by the many Indigenous artists I met and the work they are doing. It was the first time I ever experienced so many stories that I can relate too, that left me with tears and laughter." Natalie is a visual artist as well as a writer and composer. She creates oil paintings of scenes and ideas for her performance works, her images driving the creative process for everyone involved. "Her words and images already had so much movement in them, bringing them to life felt fluid and natural." says Aria. "Feeling loved. But yet feeling unheard. Un-noticed. Trying to find our voice. Trying to keep close to our teachings and our Indigenous ways of being while living in a fast-paced, growing world." Aria believes the play's personal and intimate aspects also provide many access points for all audiences. "It is honest in a way that feels raw and inspiring. For me it’s about healing and understanding, understanding our journey and accepting our experiences. The most powerful message in the play, for me, is the discussion around being enough." she says. And who doesn't run up against that feeling? Art is a legitimate route to releasing our audiences and witnesses from that pressure. So how do you prepare for the pressure of telling that story? "For me, there is always a pre-performance ritual that I like to follow. With music I will warm up, centring my body and my breath for 30 minutes then I go and put on my costume and do my hair and make up. I always leave the 30 minutes prior to a performance to ground myself, to access the emotional places that I want to call upon for the performance - acknowledging my own stories that I bring to a performance." says Aria. 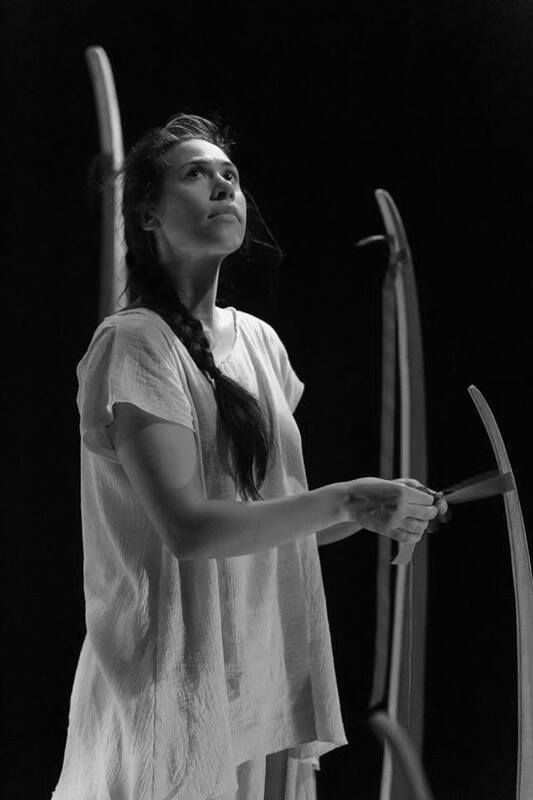 Though not a performer in Finding Wolastoq Voice, Natalie describes her own approach to performance, placing importance on being present with her thoughts and truth and the understanding that it's ok to stumble. "A performance for me is ceremony. And its a beautiful and powerful place where I feel the most where human spirit connects. Before most performance, I take time to go to the medicines, give my thanks and honour my teachers with a little song." she says.